I've noticed that these websites has some... "fancy" ads on it. That's why i choose to make gif instead of just giving the animation link. I have adblockers both on the phone and the pc (ublock origin) so yeah, no idea about that. i recommend ublock since you can make it stop skipping ads by the website, for example they appear here on the forums, but that is because i white listed them. 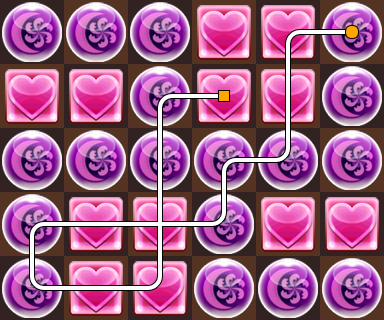 6 combos full screen clear. 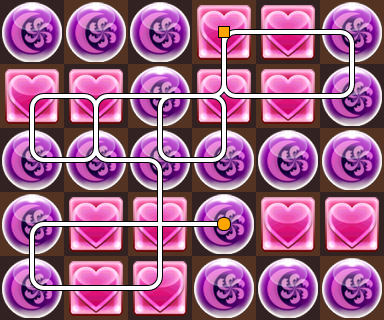 I also have a 7 combo full screen, (17 moves), i prefer these full screen if only because rng has screwed me a bit as of late with the skydrops. hahahah Amazing as always Arigato! cheers! I won't memorize these boards actually, for the reason i can probably execute them without needing one. 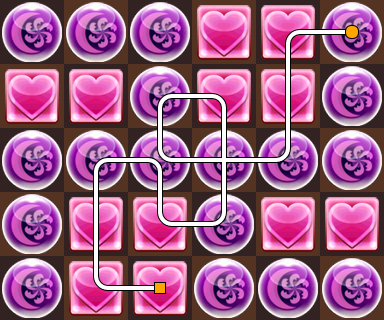 There is also a 27 moves 8 combos full dissolve version, but instead of memorizing the path, you just need to spin your heart runes such that they go to 4 set of 3 in the standard 3-3 dissolve. The path is no where elegant. 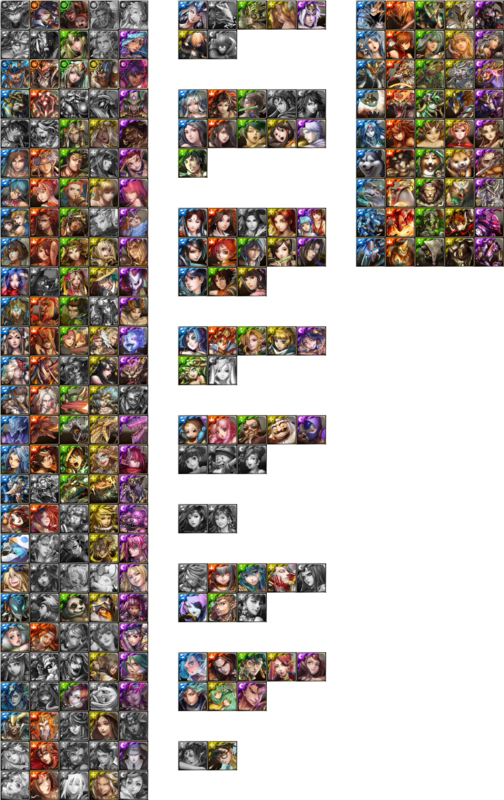 Available allies: pr Idun, all max pr Verthandi, ame IV Lu Cheng-Syuan, Dumuzi, Atrahasis.